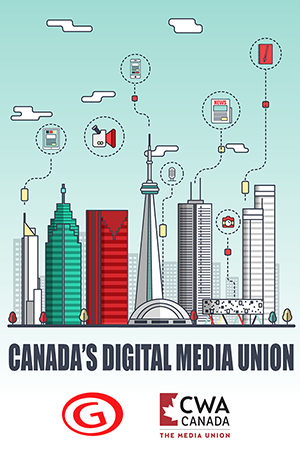 We are the oldest and only all-media union in Canada, with about 6,000 members at 17 Locals across the country. We represent workers in the communications industry, be it news services, digital media, radio, television, newspapers, print shops or mailing operations. Our members can be found everywhere from the front door to the back shop, working in administration, customer service, sales, staff support, production, distribution and, of course, the newsroom. Our employers include the CBC, The Canadian Press, Thomson Reuters, VICE Media and newspapers from coast to coast such as the Halifax Chronicle Herald, Ottawa Citizen, Montreal Gazette, Sudbury Star, Red Deer Advocate and Victoria Times Colonist. CWA Canada (formerly known as TNG Canada) is an autonomous part of the Communications Workers of America, which has half a million members across North America, including The NewsGuild (TNG-CWA). We are a truly democratic organization. CWA Canada is headed by a full-time President who is elected to the position. Our members elect Local and national leaders who have the ultimate say in how the union is run. Members at the Local level, assisted by a national staff representative, negotiate their own wages and working conditions. CWA Canada advances the economic interests of its members, improves their standard of living, and strives to guarantee equal job opportunities and human rights. 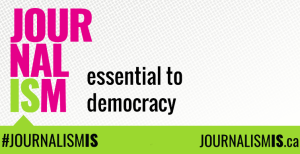 We aim to raise professional standards and promote ethical business and journalistic practices where our members work, bring about a better workplace through fairness and respect, and foster friendship and co-operation between all workers. We don’t object to a company making a profit. That’s good for all employees. We just think employees have a right to a fair share of that profit. Nearly all of CWA Canada’s collective agreements are reached without strike action. In the rare event of a strike, our union’s strike pay is among the highest of any in North America.